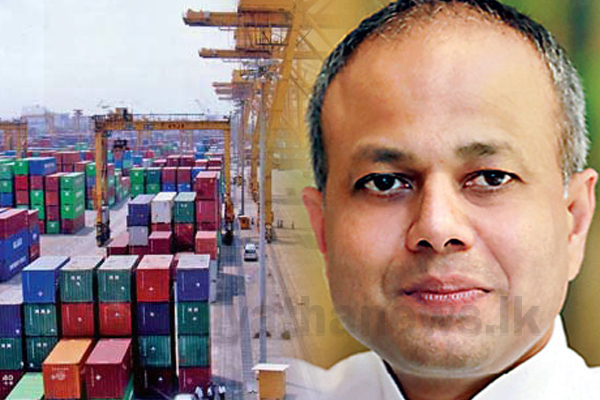 Ports & Shipping and Southern Development Minister Sagala Ratnayaka has told the Ports Authority (SLPA) to tighten the security at Colombo Port and surrounding areas, concurrent to the raids carried out curb drug trafficking. A special discussion between Minister Ratnayaka and the high-ranking officers of SLPA was held at the office of Prime Minister’s Chief of Staff at Temple Trees last evening (05). Accordingly, the minister has instructed the SLPA authorities to coordinate with Sri Lanka Customs, Sri Lanka Police and all the other relevant institutions with regard to tightening the security at Colombo Port. Minister Ratnayaka also instructed the top management of SLPA to prepare a security plan for the Colombo Port taking into consideration the current situation of the country and to keep him informed on the implementation of this security plan. All transactions of SLPA should be handled in accordance with the standard tender and procurement procedures and they should be completely transparent, the minister further emphasized addressing the discussion.